The 2014 Cadillac ELR electrified compact luxury coupe drives with the performance-bred DNA of all the brand’s vehicles, connecting the driver to the road with responsive driving dynamics expected from a Cadillac. Unique features, including a driver-selectable Sport driving mode, combine with advanced chassis and suspension systems to deliver responsive and precise performance, while the ELR’s advanced propulsion system is calibrated for confident and engaging power delivery. 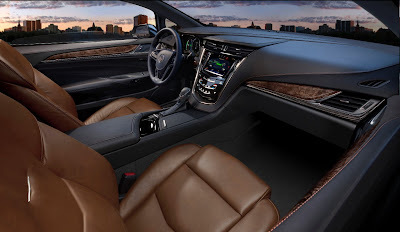 With 295 lb.-ft. of torque (400 Nm) – about 12 percent more than the 3.6L V-6 in the SRX – acceleration in the city and on the highway, including merging and passing, is achieved with reassuring power on demand. The ELR’s Sport driving mode also contributes to its responsive driving experience, automatically reconfiguring the accelerator pedal response to provide quicker torque application and more sensitive feedback to driver inputs through altered suspension and steering settings. Tour mode: The default setting on the ELR is expected to be used most often and provides the greatest driving comfort and efficiency. Mountain mode: Mountain mode automatically adjusts the system to provide needed power in mountainous environments when vehicle performance could otherwise be compromised. Mountain mode allows ELR to sustain a sufficient state of charge so supplemental power is available from the battery if needed. 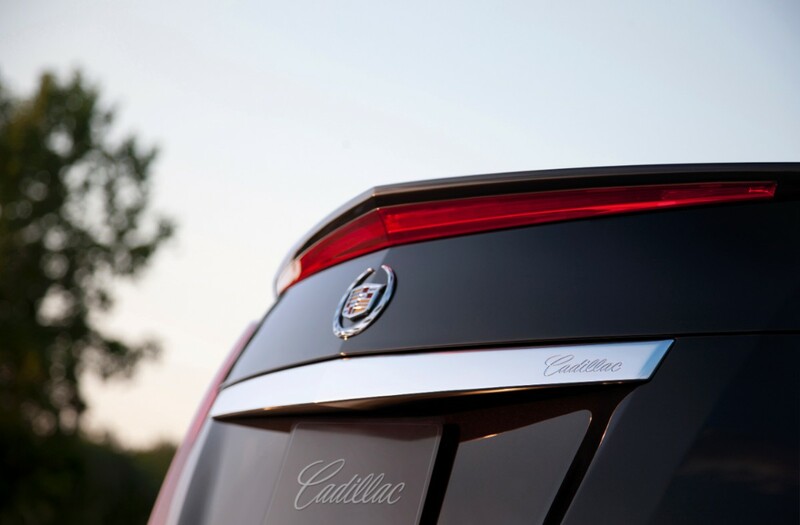 Hold mode: Hold mode allows owners to direct when the ELR uses its gas-powered electric generator, reserving the remaining battery charge for later use. This feature helps enhance efficiency because owners who mix city and highway driving can save the battery charge for city travel, where the ELR EV mode operates most efficiently. Driving confidence is further enhanced by advanced suspension and damping systems, including Continuous Damping Control – which adjusts damping every two milliseconds – to maintain optimal vehicle ride control over varying road surfaces and profiles. The ELR rolls on 20-inch wheels wrapped in tires designed to balance excellent control and cornering capability with efficiency. Standard chassis control systems include antilock brakes, traction control and StabiliTrak electronic stability control. 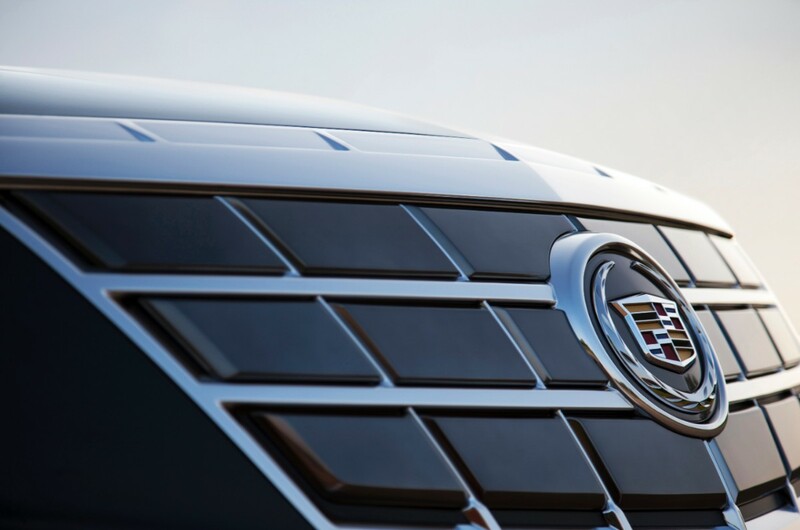 An isolated four-mount front cradle contributes to the ELR’s overall quietness, noise and vibration performance, and ride and handling dynamics. This is achieved by mounting the engine to the cradle, and then the cradle to the frame. Specifically tuned mounts are tailored to the engine’s inherent torque axis (when running), effectively damping transfer of vibration and noise. The ELR’s structure also features an exclusive cross-vehicle brace that contributes to a firmer, more precise steering feel. HiPer Strut front suspension: The technologically advanced HiPer Strut (derived from High Performance Strut) front suspension design helps reduce torque steer and provide more linear and communicative steering through improved camber control. That improves ultimate grip levels in dry and wet conditions, as well as improving the direct feel of the road, while isolating undesirable feedback. HiPer Strut is based on the MacPherson strut front suspension design and features dual-path top mountings that separate the transfer of spring and damper loads to the body structure, for greater impact isolation on bumps and rough surfaces. Reduced torque steer helps maintain acceleration linearity with a powertrain that delivers 295 lb.-ft. of torque (400 Nm). Hydraulic ride bushings in the front control arms result in a higher degree of ride isolation, quieter performance, and more controlled transfer of road input loads. The control arms and knuckles are constructed of aluminum for more nimble handling and weight reduction. A hollow, direct-acting front stabilizer bar is routed for minimum mass with maximum stiffness designed to result in better performance. The bar is mounted to the rear portion of the cradle with each end of the bar connected to the front strut via a direct-acting link. Electric power steering: The rack-mounted electric power steering system is designed to provide excellent feedback and make the most of efficiency by requiring energy only when the wheels are turned. It is a dual-pinion system – one for steering and one for power assist – with variable assist. A combined electric motor and sensing unit monitors steering angle and delivers appropriate assist to the steering gear in all scenarios. A premium ZF steering gear is used with the electric steering system and is designed for outstanding torsional stiffness with less operating friction for near-perfect linear response, smooth, predictable transitions and enhanced connection between the driver, vehicle and road at steering inputs. Compound-crank rear suspension with Watts link: The ELR’s semi-independent rear suspension features a specifically adapted compound crank (torsion beam) with double-walled, U-shaped profile at the rear and a Watts link. The design combines the advantages of a conventional torsion beam axle with low weight and consistent camber control giving the vehicle excellent stability and enhancing interior space. The technically advanced Watts Z-link helps center the rear axle during cornering, helping keep the ELR’s handling responses symmetrical on both left-hand and right-hand turns. The linkage’s capability to center the axle during cornering delivers a more balanced driving experience as the rear suspension better follows the lead of the front suspension. The space-saving layout of the rear axle also helped the engineers achieve a low center of gravity for improved agility. It also allows the fuel tank to fit between the rear wheels, enabling lower positioning of the rear seats. Cast iron control arms are attached to the steel cross-car beam with a patented “magnetic-arc” welding process, which uses magnetic forces to drive the components together and weld them. The trailing arms on the ELR’s rear suspension incorporate an advanced, thin-wall structure of only 3.3 mm, for a mass savings of about 3.9 lbs. (1.75 kg). Regenerative braking and Regen on Demand: The ELR is equipped with a fully blended electro-hydraulic brake system that enables seamless blending of regenerative braking – recharging the batteries during braking – and traditional disc braking based on the brake pressure applied by the driver. During regenerative braking, the system converts the vehicle’s momentum to electrical power and stores the energy in the battery pack. If the battery is fully charged, the brake controller directs the system to conduct traditional friction braking. The system uses a high-pressure hydraulic pressure accumulator to provide boosted braking. ELR’s exclusive Regen on Demand feature allows the driver to temporarily regenerate energy from the vehicle’s momentum via steering-wheel paddles adapted from traditional performance cars. The electricity is stored in the vehicle's high-voltage propulsion battery for later use. When engaged, Regen on Demand also provides vehicle deceleration that is slightly more than what a typical vehicle experiences while coasting, providing control and dynamic performance characteristics typical to downshifting in a manual-transmission vehicle. To engage Regen on Demand the driver simply takes his or her foot off the accelerator and pulls back on either the left or right steering-wheel paddle to begin regenerating electricity. Releasing the paddle disengages Regen on Demand, allowing the vehicle to coast normally. The driver can engage and disengage Regen on Demand as desired and as traffic conditions allow. A four-channel anti-lock braking system is standard and includes electronic Brake Force Distribution, which uses independent rear control for improved stability and braking during cornering, as well as more effective use of the rear brakes as vehicle loading occurs. Also, the disc brake system features large, vented front and solid rear Duralife rotors with Ferritic Nitro-Carburizing (FNC) finishing technology to reduce corrosion and deliver longer life. Propulsion and charging systems make the most of pure-electric driving range: The ELR is powered by GM EREV technology, which combines pure electric drive and an efficient, range-extending gas engine to provide approximately 300 total miles (480 km) of range, including pure-electric driving and generator-assisted driving. 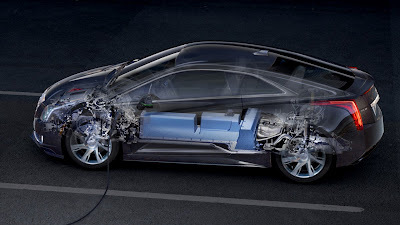 When power from the advanced lithium-ion storage battery pack is depleted, the range-extending gas-powered electric generator kicks in to deliver continued power for the electric drive system, extending the ELR’s range, while also ensuring the vehicle’s dynamic performance. That combined power is delivered through the electric traction motor. Positioned under the hood, the electric drive unit packages a pair of electric motors and a multi-mode transaxle with continuously variable capability. Inside the drive unit, a large electric drive motor propels the vehicle while a smaller, second electric motor serves as a generator to keep the battery pack at its minimum charge level and assists the drive motor with propulsion, based on performance, speed and efficiency requirements. The propulsion system optimizer evaluates the best efficiency point hundreds of times per second and seamlessly switches from one-motor to two-motor operation to use as little energy as possible while meeting the driver’s needs for dynamic performance. Lithium-ion battery system: The ELR’s battery is a T-shaped, 16.5 kWh lithium-ion battery pack, located along the centerline of the vehicle, between the front and rear wheels for optimal weight distribution. The 5.5-foot-long (1.6 m), 435-pound (198 kg) pack supplies energy to an advanced electric drive unit capable of 295 lb.-ft. of instant torque (400 Nm) to propel the vehicle. The battery pack is protected by ultra-high-strength steel. It comprises nine linked battery modules that contain 288 prismatic lithium-ion battery cells, each of which functions as a building block. Each is the size of a 5x7-inch photo frame, less than a quarter-inch thick, and weighs about a pound. Each cell contains a carbon anode (negative electrode), manganese cathode (positive electrode) and safety-reinforced separator to isolate the electrodes while still allowing the transfer of electrically charged ions between the elements. Once the vehicle is plugged in, owners can schedule either immediate or delayed charges, even coordinating charging according to departure time or when electricity rates are lower. Owners also can manage and monitor the ELR online or with their smartphone and RemoteLink, a mobile app powered by OnStar. The ELR’s battery is covered by an eight-year/100,000-mile warranty.